There were hundreds gods, goddesses and other demons or geniuses in the ancient Mesopotamian world. Many myths and legends tell us about the powers, achievements of the gods. Their adventures are amazing and the relationships between often quite complex. 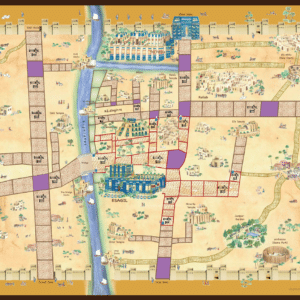 His fate is closely linked to the city of Babylon.His importance increases together with the political rise of Babylon, under the His importance increases together with the political rise of Babylon, under the reign of Hammu-rabi and his successors (II millennium). But when the city is later conquered by the Assyrian king Sennacherib in 7th century B.C., Marduk (i.e. his statue) is taken to Assyria like a prisoner. 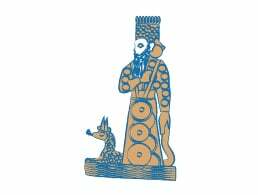 He is, however, brought back to Babylon by Sennacherib’s successor, who also rebuilds Marduk’s temple. The god will regain his powers to the full in the Neo-Babylonian period when Babylon is again the capital of an empire. I know enūma eliš by heart! And other stories will them to your one day! It was written to the glory of Marduk. It describes how the young god Marduk, son of Ea, is given the full powers by the other gods to fight against Tiamat, goddess of the ‘salt waters’. Marduk defeats her, then uses her body to create the world. He furthermore has the idea to create humankind to relieve the gods of their hard work. 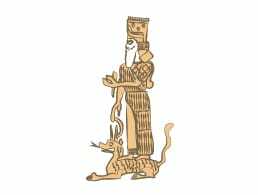 He is one of the most important gods in the Mesopotamian pantheon. He is usually called king, supreme lord, or creator and described as a “raging storm” or a ” “wild bull”. Despite these prestigious epithets, a Babylonian myth describes him as terrified by the rebellion of the minor gods and shivering with fear in front of them! He has plenty of prestigious children, amongst them Ištar, Sîn and Ninurta. 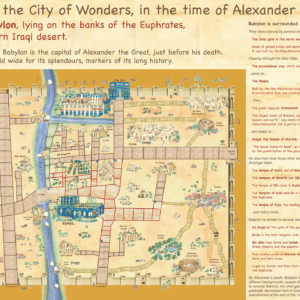 His city is Nippur. 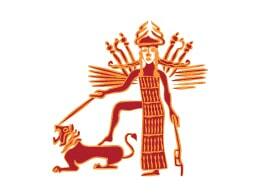 The goddess of love and war is the most important female deity of ancient Mesopotamia in all periods. Her city is Uruk. She is not a mother goddess: she has neither spouse nor children. But she has numerous lovers. The fate of the most famous one, Dumuzi the sheperd, is unfortunate: he is killed by bandits from the mountains. Ištar is also the planet Venus, morning and evening star. 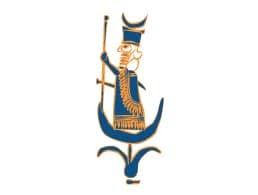 The son of Enlil, is a very ancient Mesopotamian god. He is above all a warrior: several myths relate his formidable fights and victories. 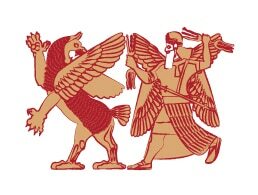 Amongst others, he challenged the terrifying Imdugud (a gigantic eagle with the head of a lion) after the latter had stolen the Tablet of Destinies from Enlil. Following Ea’s wise advice, Ninurta defeated the monster. Ninurta furthermore plays the role of a farmer god. The Mesopotamian scribe god is also the god of wisdom because knowledge was transmitted through writing. 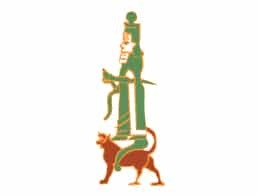 From the end of the second millennium on, he was regarded as the son of Marduk, and often “visited” his father in Babylon. The god is sometimes shown riding on the back of a snake-dragon, but we know no myths about him. He, the moon-god, is the son of Enlil and the father of Šamaš (the sun god). His most important shrine in southern Mesopotamia was in Ur. Though very popular, he always remained subordinate to the chief gods of the pantheon. For this reason, he travels a lot to visit them, and pay his respect.